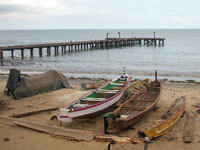 The Gambia is a great place to come and visit. As well as its excellent weather conditions all year round, clear blue seas, friendly locals and sandy beaches, there are also a number of different Gambia tourist attractions to visit. There are also excellent local restaurants for you to eat in serving local produce. Take a look at our tourist attractions and eating guide by clicking the relavent link below. 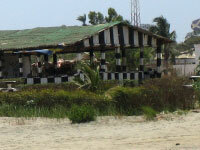 The Gambia has easy access to Europe via the Banjul International Airport. Between October and May each year, there are over 23 flights from Europe, in and out per week, not including flights to Senegal where international flights across the world can be taken. There are lots of countries including Holland, Uk, Spain, Belgium and Nigeria that are all available from Gambia. From June to September there is slightly less but you will never have to wait more than 24 hours to access a flight to somewhere.